The statue of Charles Darwin in the centre of Shrewsbury, England. The old market hall in Shrewsbury, England. “I was born a naturalist,” Charles Darwin once said. Born on February 12, 1809, the naturalist, explorer, and inquiring mind spent the first 27 years of his life in Shrewsbury, England, a medieval town that inspired his fascination with the natural world. Shrewsbury has, the residents say, not changed much since Darwin’s time. It’s called England’s finest Tudor town for good reason, as black and white Tudor houses and elegant Georgian buildings are everywhere, and a warren of narrow passageways (or “shuts”, as they are locally known) connect the buildings. There are reminders throughout Shrewsbury of where Darwin grew up and drew his influences and much of his inspiration. In Morris Hall Yard stands a large granite boulder, the Bellstone, which was Darwin’s first introduction to the science of geology—a subject he went on to pursue with interest during his time at the University of Edinburgh. He was first educated in Claremont Hill by Unitarian Minister Reverend Case, and nearby is Quarry Park, an attractive area—Darwin used to fish for newts here—that affords quiet walks along its banks. 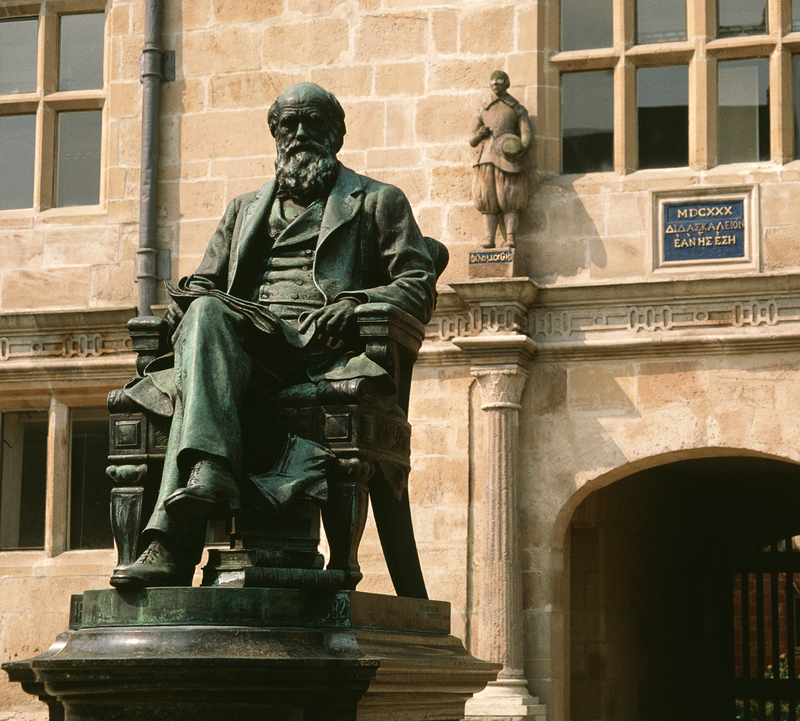 A statue of Charles Darwin, situated outside the library (Shrewsbury School during Darwin’s years), was erected by proud townsfolk in 1894. What began as an annual noontime birthday toast around the Bellstone has evolved into Darwin Day, and now includes even dinner parties with special recipes for primordial soup, along with workshops and literature readings. The town began a Darwin Festival in 2003, which now lasts the full month of February. 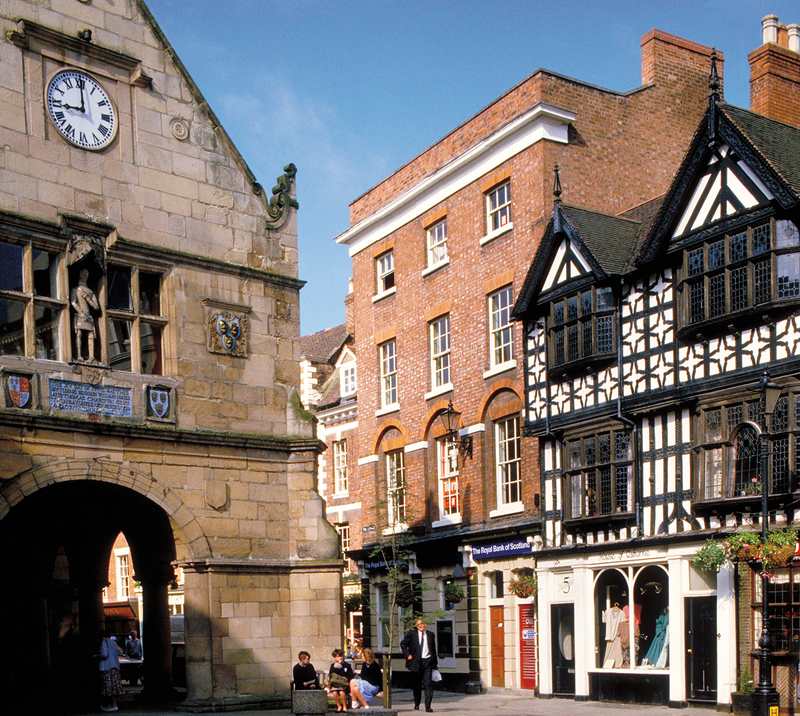 Shrewsbury boasts a cultural scene, with art and music, yet perhaps it is the setting that is most impressive. The surrounding county, Shropshire, is largely rural, with a picturesque countryside. Darwinist or not, Shrewsbury is a worthy experience.